Minimal “nose-swing” at the linkage, even while in the stowed position. Commonality with the S-65, minimizing service parts counts and technician training. Easy to service hydrostatic 4WD versus axle based drive systems. Swing out engine tray for access to filters, starter and engine oil dipstick. 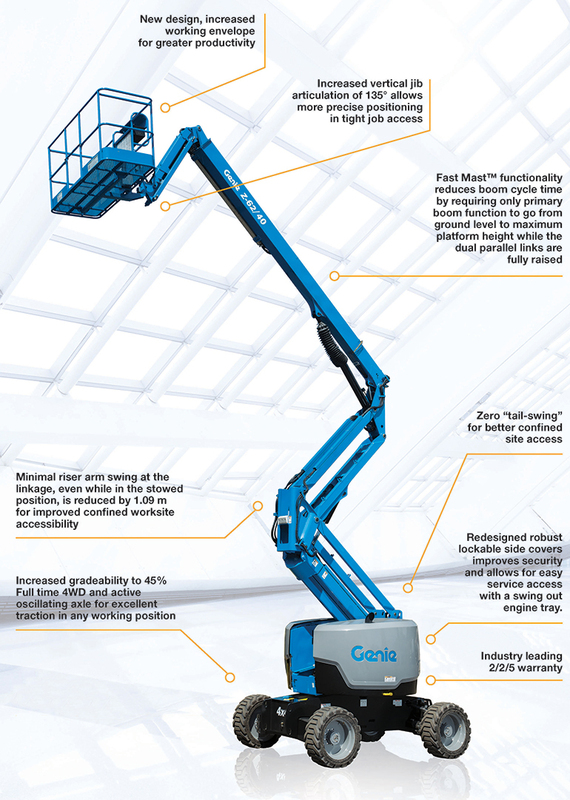 Top applications: jobsites that require up and over access, tight areas requiring zero tail-swing & 4WS, unfinished construction sites requiring high performance RT capability.